We usually think of violence as something that is abrupt and explosive --a bomb going off, a bullet finding its mark. The photos on exhibit here tend to reinforce this view. But there is another kind of violence that is increasing worldwide,  the violence of climate change. Because it is incremental, it's mostly invisible, or at least not perceived as violence. But we need to reassess this view. Climate change is both violent and largely caused by human activity. It's as violent as war. People's homes and livelihoods are destroyed, their countries devastated, their lives taken. According to the UN there have been more than 4 million climate-related deaths since the 1970s. As startling as that number is, the relationship between war and the environment is more than the high casualty rates they share. Environmental disasters cause wars and wars cause environmental disasters. Let me explain. War destroys the environment  wrecking agriculture and infrastructure, killing and displacing millions of people, leaving a landscape of lethal chemicals, heavy metals, and radioactivity in its wake. If we step back from the news items about war and environment that we see daily, we may be able to perceive a pattern here, a macabre cycle of cause and effect. Even when not engaged in war, the military causes environmental damage. The burning of fossil fuels--coal, oil, natural gas--causes climate change and the US military is the biggest single user of fossil fuels in the world. And environmental disasters set the stage for war. Climate change is causing droughts, wildfires, floods, famines, and storms like weve never seen before. Rising sea levels threaten island dwellers around the world. Huge numbers of people are forced to leave their homes. The International Red Cross says there are now more environmental refugees than political refugees. In 2009, the last year for which we have statistics, 36 million people were driven from their homes by environmental destruction. You don't have to be a sociologist to understand that this many environmental refugees exacerbates the conditions that lead to war. 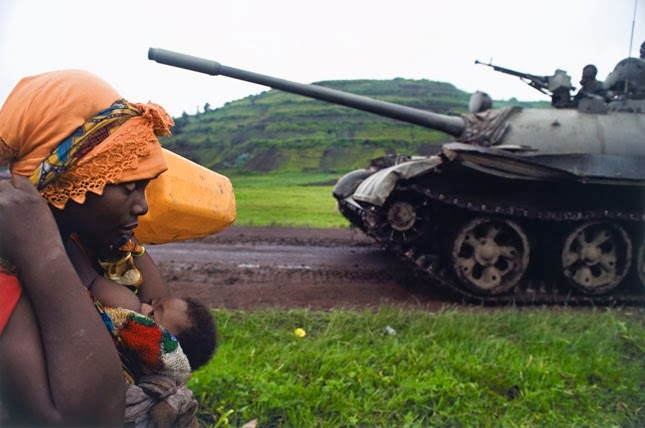 Increasingly wars are being fought for access to  and control of  resources like oil, gas, water, and arable land. The war at home  attacks on communities of color, cutbacks in schools, hospitals, and infrastructure that Noam Chomsky calls "pure savagery"
In Brooklyn For Peace, we say that you cannot stop any of these three wars unless you stop all of them. And we can only stop them if large numbers of people demand it and work for it. People like you. US military's use of fossil fuels.